Our national, annual spend on one of the most loathed American-owned/operated sites is beyond the pale. Put aside the inhumanity for a second and brush aside the self-proclaimed, non-constitutional “right” for the US to detain prisoners without trial for an unlimited amount of time; put all that aside and you still have the sheer cost and waste of the program from an economic standpoint. $800,000: Annual cost to tax-payers of maintaining one prisoner in Guantanamo Bay. 166: The number of prisoners currently in Gitmo. 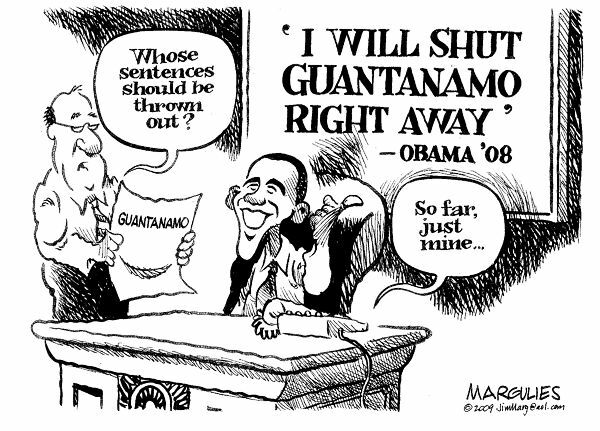 86: The number of prisoners currently in Gitmo who have been cleared for release but not actually released. 46: Detainees scheduled for indefinite detention without charge or trial. 15: The age of arrest of the youngest Gitmo detainee ever, Omar Khadr, who was “tortured and refused medical attention” because he would not confess. 15: The number of prisoners under the age of 18 who have been kept at Gitmo. 9: The number of inmate deaths at Guantanamo Bay. 6: The number of those deaths suspected to be suicides. 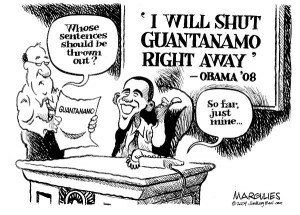 2009: The year Obama was supposed to close Gitmo. 2013: The year he closed the office dedicated to closing Gitmo.